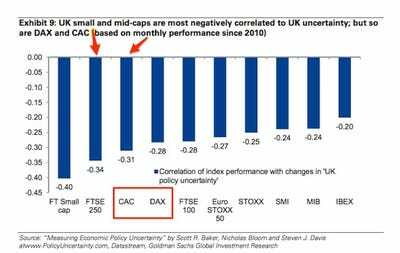 According to Sharon Bell and her team at Goldman, “all of the major European indices are highly negatively correlated to UK risks,” but a Brexit will hit German and French firms would be hit the worse. 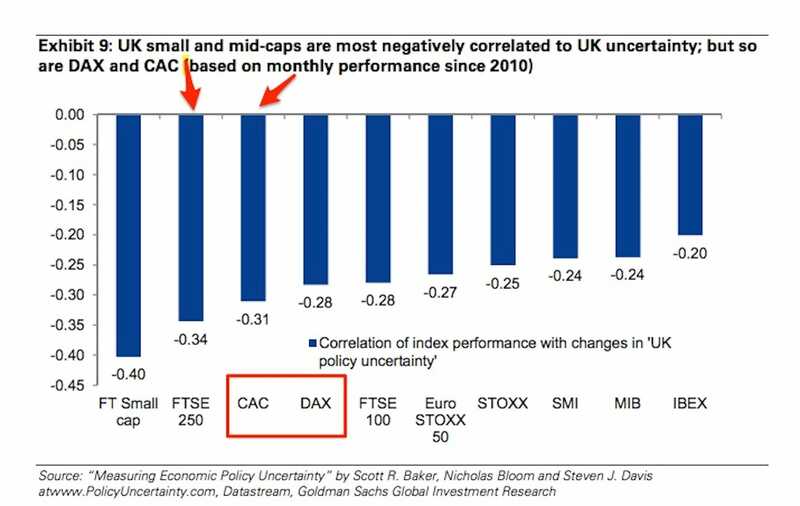 … the DAX and CAC are very negatively correlated to UK policy risks. The direct sales exposures to the UK are shown in Exhibit 10 for the DAX and CAC 40 companies in aggregate. The latest referendum polls show that either the “Leave” vote is in the lead or the gap between the “Remain” and the Leave vote is extremely slim. Already, this is having a huge impact on the pound.